Home » Learn How To » Does Your Home Renovator Have the Ideal Educational Background? Anybody can say they’re a qualified contractor or renovator, but not every person who makes this claim has the credentials to back it up. Even if you love the work that a contractor or renovator has done for someone else, and even if that candidate’s referrals are all glowing, it is important that you make sure you hire someone who has the proper education and licensing to work on your home. Finding someone with the right background is important! It is also important that you verify the school’s accreditation with the government and that you not scoff at degrees earned online. While a lot of the training in renovation is vocational and hands on, there are some things that can be taught via virtual classrooms. When you verify your candidate’s online education, make sure it comes from one of the best online degree programs available. Education isn’t the only thing that matters when finding someone to help you renovate your home. Licensing is important, too. Each province has its own requirements. In British Columbia, for example, the Canadian Home Builders’ Association of BC has a couple of self-certification programs that contractors and renovators can take: the Certified Renovator, which is granted to businesses that employ renovators, and the Registered Renovation Professional, which allows a renovator to operate independently. If you want someone who specializes in aging-in-place and/or barrier free renovations, you’ll want to make sure he or she has a Certified Aging-in-Place Designation. 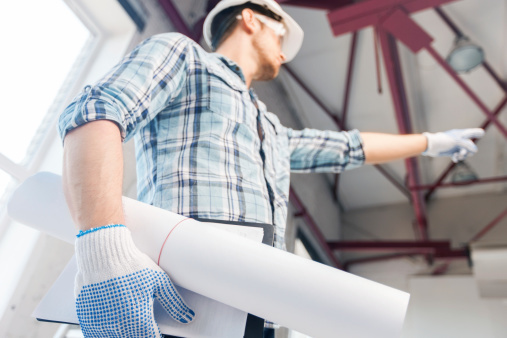 Check with your local housing and construction authorities or governmental office to find out which certifications and diplomas a renovator in your area needs to have to legally conduct business and work on your home. Don’t hire anybody who doesn’t meet those qualifications and credentials! Do you want to renovate your home? Take a look at eieihome’s directory of general contractors.